A dreamy 1964 remodel of an already spectacular midcentury gem in the Millbrook Estates neighborhood. This 5,600 square foot home was architect designed and was purchased from the original owners to be reimagined by the team at Kirby Kelly Studio. Sherwood Drive was another prime property for the Kirby Kelly Studio treatment. The 1962, architect designed home was completely original in its interior and exterior. The kitchen and master bathroom were both enlarged to better suit modern life, and the exterior was freshened with a new white body over the dated brick. White oak floors (a KKS favorite) were used throughout the main level as well as cement tile in the master bath to create a stunning dual shower. CLICK HERE for the before photos. 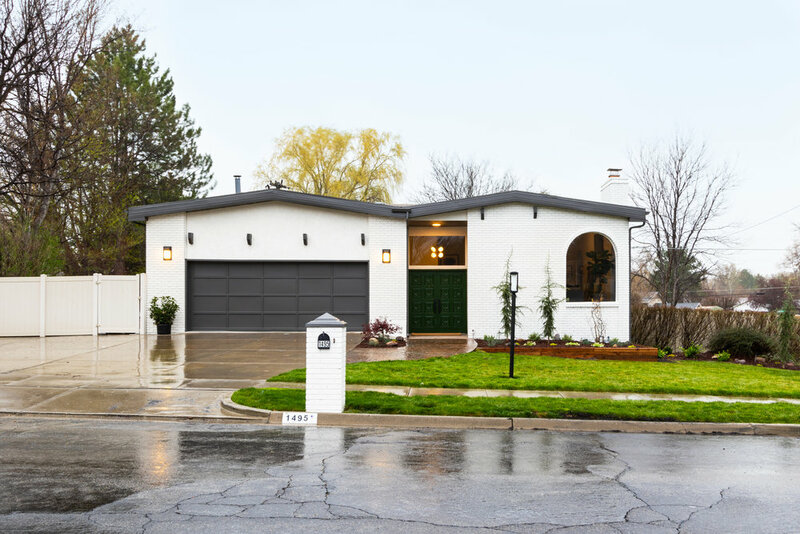 Our Meadowmoor Project is located in Salt Lake City, Utah- a quiet inner suburb of Salt Lake City. It was purchased from the original owner and builder- complete with blueprints from the 1973 build. The arched windows were uncovered and now give a distinct personality to the 3,000 sq ft home. 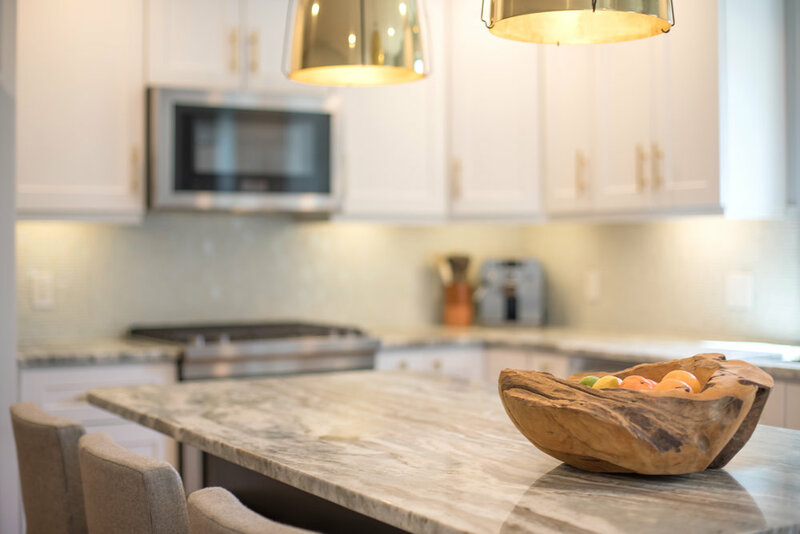 The kitchen was reconfigured and an extra stairwell was removed to accommodate a 10 foot island with New Carrera quartz and encaustic tile backsplash. Custom cabinets in Pratt & Lambert's Lava. The master suite was completely reworked to house a two person shower with floor to ceiling mosaics and a custom white oak vanity. Our Woodside project was acquired from the original owner in Salt Lake City, Utah. Its a vintage bungalow with tons of charm. We created a better flow by removing a wall separating the kitchen and dining room. Cabinets by Semihandmade painted in Behr Marquee's Secret Society. Both the home's baths we're gut renovated to reflect a modern lifestyle.